I think you will agree with me that a hammer is a must-have tool for any household. Hammers are one of those traditional tools that are still helpful to our everyday life. As the advancement of technology, many tools have been introduced, but still, the importance of hammer doesn’t fade away. Hammer is a tool for multiple purposes. Using the hammer, you can smash anything, also make a structure of new objects within minutes. Whatever you do by this nailing tool, you must choose the best available one from the market. Otherwise, you hardly enjoy the benefits of using this tool. You already got that it’s a review content. Actually, it’s our attempt to help our readers so that they become capable of choosing the best framing hammers for themselves. Throughout this content, you will get to know about some popular models of framing hammer, an FAQ section, and a buying guide with some tips. 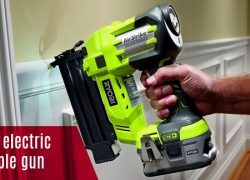 Stanley is another dominator in tools industry. For over 170 glorious years, Stanley has been synonymous with innovation, quality, reliability, and value. 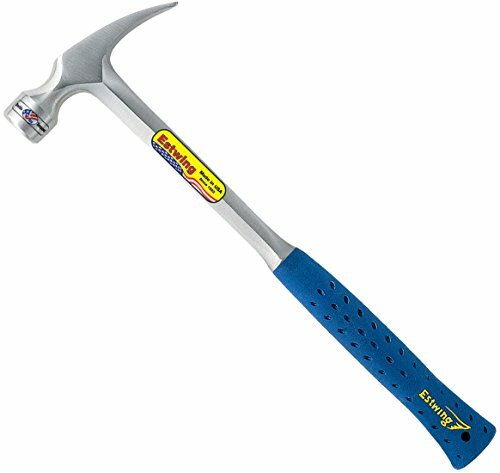 This Fatmax framing hammer is a proud member of the Stanley product line. The 22oz hammer is designed aiming for comfort and performance. It has modern Anti-Vibe technology. This rip claw hammer also features a patented ergonomic rubber grip, torsion control stabilizers, magnetic Nail Start and other necessary features for delivering flawless performance. Striking on harder materials is the cause of much vibration. This vibration decreases the precision. 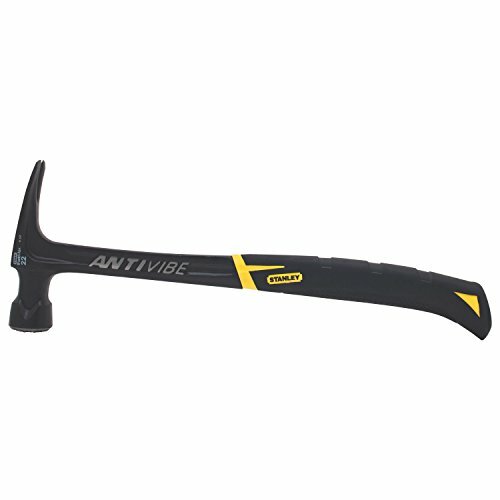 Here Anti-Vibe technology will minimize vibration and shock when you strike the hammer even on harder objects. In a crucial moment of operation, you may have to do your nailing with a single hand. To increase single hand using flexibility, the manufacturer features a Magnetic Nail Start feature in it. Also, the torsion control in the grip will reduce torque in your wrists and elbows. Stanley 51-163 can be your best budget framing hammer. This one is a perfect choice for those who are looking for a reasonable price hammer that packs great features too. Like other high-grade hammers, it also has one-piece of the forged head and handle that eliminates the worry of detaching head and harming the user. The head weight is sufficient for domestic even for professional usage. Together it, the rip claw function will offer you good control over the nail when you force it into the wood playing the hammer. Estwing is a well-accepted name in the tool industry. If any tool expert features best hammers in his writing he must include at least one product of Estwing in his list. Since 1923, the Estwing family has been manufacturing the world's most durable, comfortable and attractive hammer for the users. This hammer assembles solid build quality with a lightweight design. As a result, its user will enjoy top grade service without putting much pressure on their wrist muscles. The tool is made in Taiwan and made for the world. The hammer weighs more that’s why needs less pressure to operate. The weight of the head of this incredible model is 25 ounces. It’s quite a lot weight to make a hammer exceptionally powerful and dominating. Few manufacturers fail to balance out the entire product. The heavy head is good, but if the producer fails to balance the head’s weight with the body, it will be a curse for the striker. But, in this hammer Estwing does the balancing with an ace. Strong material named forged solid steel has been used to shape the face of this MRW25LM. This type of face electrifies the performance of this tool. Also, the triple wedge structure with magnets helps to hold the nails during the action. Though the structure of the hammer is solid in overall justification it’s also a lightweight one. Its handle is made of top grade hickory wood that’s why it feels light in weight but perform very well. Irwin has invented and launched some of the most reliable and praiseworthy products in the market. This model is one of the finest works of Irwin to date. 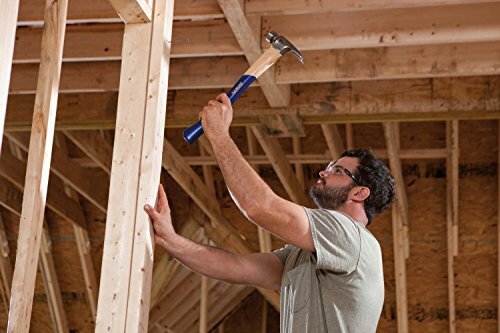 This 21oz framing hammer combines the strength of a solid steel head with an extended reach. There forged steel head together with 15.5" curved hickory handle, offers the prime strength and control that is demanded framing applications. As a means of complementary features, it benefited with slipping prevention and magnetic holder. The hammer got a 16 oz head. This weight is suitable for all kind of light duty tasks. Though the hammer is made aiming for performing light duties, the manufacturer gave it a solid build. They used high carbon steel which is very strong. Hammering requires heavy firmness and slippery is the main obstacle getting sufficient control over it. To ensure that users get full control of the tool, Irwin designed the handle with a milled face, which prevents the hammer slipping off on the nail. Having 16oz head is also a blessing for this hammer. Magnetic nail holder together with this lightweight body shape offers the user an opportunity to use the device with one hand only. As a result, nailing in a narrow and congested space become advantageous. Talking about the handle, the Irwin 1954890 has a quality curved hickory handle for added strength and durability. The curved shape creates a perfect balance of the product that you will feel when you do nailing into the wood. 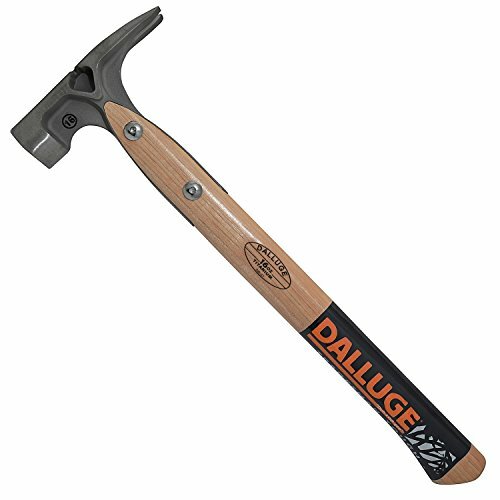 Dalluge DDT16P is another budget framing hammer. The device is for those who come with a limited budget but want to utilize their limited budget at its best. This lightweight hammer is designed to absorb all the shock and maximizing each swing. Perhaps the notable feature of this hammer is its titanium head. 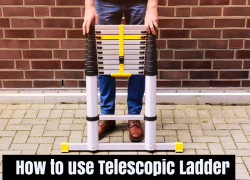 The device is lightweight yet powerful. Designed with the wooden handle that takes care of both balance and durability. Other than these, Nailoc magnetic and slight curve at the back end features will give an experience of solid nailing and smashing jobs. Head of this hammer is made of titanium which offers many extra benefits compared to the steel heads. It features a new-patented design comes with an over strike guard and sidewinder nail puller. This arrangement allows the user to get more leverage, and get into hard places where an ordinary claw cannot reach. Some users are afraid of separation of hammerhead from the handle. If you notice, you can realize that this hammer is out of that kind of danger. Here the head incorporated the handle with its extended portion. So there is no chance of disconnection. The tool weighs 16oz. A random guy may think the hammer sacrifices its performance to minimize cost, that totally wrong. Note that, the titanium used in the production of the head is forty-five percent less heavy than typical steel. With this lightweight nature, it has the ability to provide top-notch service for its user. The hammer comes with a wooden handle. plastic handle lover may not like this but having this, users will enjoy some advantages. Wooden structure improves imbalance as well as reduces shock transfer rate. As a result, you can do deep nail down, and nailing on a hard surface with less arm and shoulder strain. Estwing E3-25SM is the second member of our top 10 list from USA based tool manufacturer. Estwing, where quality meets precision. You can feel the precision using this hammer. 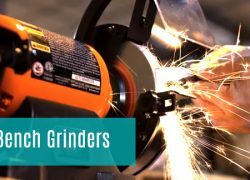 From the patented shock reduction grips to the fully polished hammerheads, these tools are made to be long-lasting. The hammerhead is forged, makes this model a perfect pick for various users such as framers, DIYers, roofers, and tradesman. The first thing you notice taking this hammer in your hand is its blue coated handle. This coating made this handle comfortable, durable and reduces impact vibration by 70%. So during operations, you will feel less return vibration and smoothness simultaneously. And, you can hammer for a long time with the same level of caliber in your wrist muscle. Head of this model is in milled face formation. Means, you can use this hammer leaving no marks on the objects, that’s impressive for the DIY enthusiasts. The reason its versatile using capability its head weight. It weighs 16oz which is good for doing various hard and smooth tasks. From head to handle the entire body of this hammer is made of finest American steel. 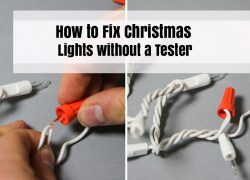 This construction makes the tools incredible string and durable. The body also featured with Rockford power that helps in preventing corrosion or rusting of during day to day use. 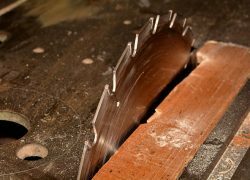 Having said that the entire construction has been done with steel, it is also worth mentioning that because of this type of structure your hammer has no chance of disconnection of the head from the body. You can enjoy safe and secure hammering all the time. 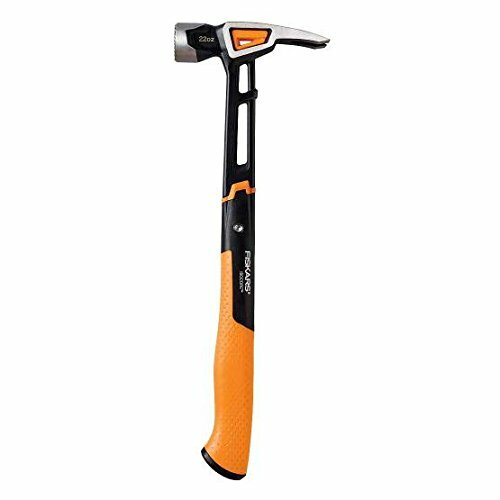 Fiskars milled face hammer is an ideal choice for big framing jobs and pounding large nails into tough lumber with power and speed. This Fiskars’ manufacture is pricier than some, but still not a lot of money. If you are looking for a hardworking tool, it can be your one. The hammer is a double edge sword you can use both ends of the head. The thick and dived part will help you unmount nails or other hard coat from materials. And, the other end does hammering. It’s a professional tool featured with a powerful head. The head weighs 22oz which is good enough for doing some high degree hammering. The face of the head is milled so along with hammering it also takes care of materials’ smoothness by preventing sliding. To give the users smooth working experience with least shake manufacturer integrated IsoCore patented technology. Having this, you can get the right precision from your jobs keeping full focus on the nails. Out and out the body of this hammer is made of steel and there is no single joint. 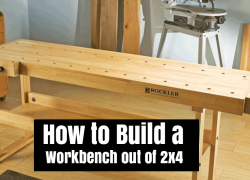 This structure will ensure safe nailing and longer lifespan of the hammer. Now, you are free from handle broken problem too. The back-end portion is wrapped with a rubber layer. This covering will help you grab the tool tightly and doing your task with full of energy. Dewalt never disappoints us with their tools. If you find, this DWHT51064 resembles your nailing requirements, then you will not be disappointed too. It’s a professional hammer so best for the specialized user also for the routine user. The hammer also features heavy head with a side nail puller for efficient and easy pulling. Its nail starter system allows you for single-handed nail placement. Moreover, with its intuitive design and performance quality, one can beat his hard to harder task easily throughout dawn to dusk. Heavy heads do the hard and tough nailing tasks with excellence. This hammer’s head weighs 22oz which is heavy enough to tackle professional tasks. This tough material expert also works on soft and mid rage toughness objects. Here the head weight does 50% of the jobs. Dewalt also knows for excellent durability. The A to Z structure of the hammer is made of hardened steel. So, it can be assured that you will enjoy first class service, no detaching problem year after year. 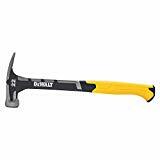 The hammer is a combination of Dewalt’s trademark yellow and black color. Yellow colored area is the grip portion to grab the tool firmly. It’s a checkered face hammer. This face structure prevents nail slipping while striking on it. Nailing is a tedious task if you do it with an imbalanced tool, it will be daunting too. To make even harder hammering easy, Dewalt gave a perfectly balanced shape to its hammer. Now anyone will able to enjoy his nailing operation. If you are planning to buy a hammer that really stands out regardless of its price tag, you can consider this titanium creation. The maker Stiletto manufactured a tool aiming for high-end users. This Stiletto titanium hammer is one of the most popular models of framing hammer because it is strong, light and has 10 times less recoil than a steel made tool. 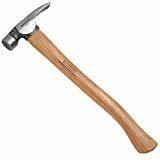 You will get all the necessary features of a stereotype steel hammer under the pack of precious titanium. Despite the fact that it is lightweight and included only a 15 oz head, the driving force is equivalent to 28 oz of a steelhead. You will get more power with less weight. Moreover, nailing with a less weighing hammer, you will feel less fatigue. Some you may need to do nailing in a corner or position where you can reach only your hammer itself, at that situation this titanium tool helps you finishing your job correctly. Lightweight design and the magnetic nail start feature on the nose will make your one hand jobs super easy. Almost half of the backend of this hammer is cased with a handle grip made of a new patented rubber compound. This coated area breathes and absorbs moisture while dispersing the residual shock. As a contractor or a carpenter, you may be concerned before purchasing this titanium hammer about the ability to endure long time usage. However, that shouldn’t be a matter of concern, especially when you go for this hammer. Indeed, titanium is a sturdy material. Estwing has been manufacturing hammers and other tools in their Rockford, Illinois office, so by born it’s made in the USA. 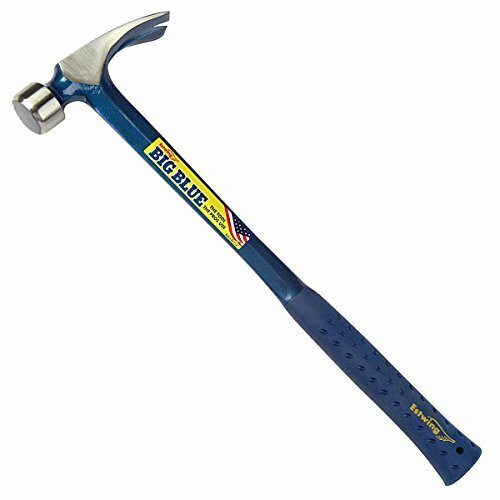 It is a budget framing hammer suitable for framers, roofers, carpenters, contractors, tradesman & serious DIYers. For nearly one-hundred years Estwing has held the Gold standard for single piece steel structured framing hammers. This hammer also comes as a solid one-piece steel construction. The handle extends for sixteen inches long giving you extra leverage and power with each swing. Once you won the hammer you get a lot of power with this twenty-two ouncer. Describing its power, a user quoted “it will drive 16D nails like a knife through butter”. The nail gun will get your job done and give you a work out simultaneously. E3-22SM is a result of solid single piece material, so the long-time user experience is guaranteed. Being top to the bottom steel structure, you will be free from any doubt of broken handle or separation of head from the body. We personally liked the combination on steel and blue color at the backend of the hammer. Basically, the blue-coated area is a comfy grip for getting maximum control over the tool.The grip itself is designed with lots of dots, so no chance of sliding of accidental through while striking. Though milled face hammers are not preferable for soft grade surfaces, you will get an extra degree of support from this type of hammer. If you are aiming for working hard on the tough surface, this one will justice your need. Your every strike will put down the nail vigorously. TB15MC is another excellent performer from Stiletto. This titanium based performer always ready to deliver you premium class nailing experience. But, to own this one, you have to spend a hefty amount of bucks. 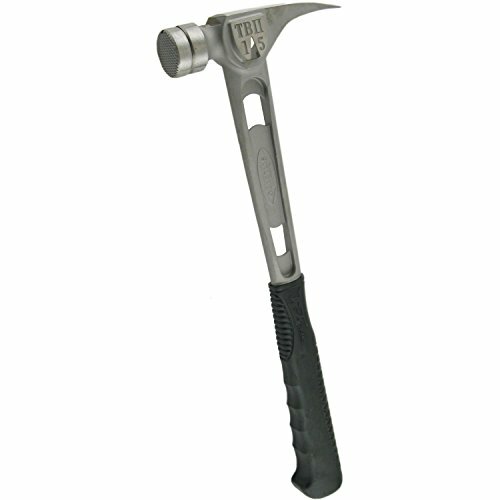 The hammer features a durable body structure and all the functional benefits so that a user gets his expected service. 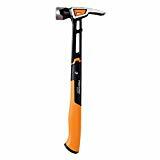 One feature other than its price makes this hammer special is, its replaceable head design. To me, the replaceable head design does the justice of high price most. You can experience both flat and milled face nailing service from this single device. Also, you can replace the damaged head with a new one. So it is sure that the Stiletto TB15MC will be your horse for a longer race. At first glance, one might be shocked knowing that it weighs only 15 ounces. But, the fact with this weight is, it can provide a driving force just like a 28 ounces! So it’s like a disguised great performer. it is a lightweight hammer. So who are daunting of doing nailing for a long time or nailing on comparatively sturdy surfaces, this one is a solution for them. Every strike of you cost you fewer muscle calories but will hit the nail with a hefty power. And, you can go for a long session of operation easily. Almost all the hammers we reviewed can be used by a single hand. 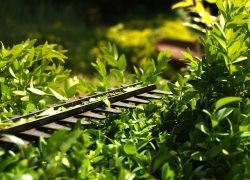 Here you will get some extra advantage in doing that because of its power and less weight. To ensure precision even during single hand use, producer included a magnetic nail start on the side of the head. Whether one hand or both hand use you don’t have to sacrifice your exactness of work. Irrespective of the weight of the hammer, you must have a comfortable room for control. Here a smooth grip covered the back half portion of the handle, and your ultimate comfortable control during action will surely be assured. How You Get The Right Hammer For Your Needs? 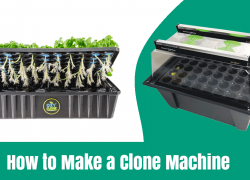 Webmasters call it buying guide but for us, it’s a space where we can interact with our readers to make them aware about what they are supposed to purchase. Though interacting through words like a monologue process we still do it as it helps our readers a lot. Here we will discuss factors those a finish hammer features in details. After this, you can visualize what you have read in the review section, and finally get a clearer understanding of the products. Solid head means a hammerhead with more weight. Heads those weigh more are able to produce more striking power. 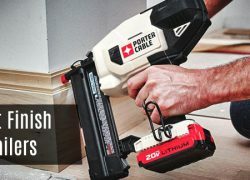 As a result, hard and tough nailing jobs become effortless. Having a solid head even a minimal pressure on the hammer can create maximum striking power. Remember that head weight also the reasons for increasing of the overall weight of the hammer. So when you plan chose a weight that is comfortable to your use. Most hammers feature a weight that ranges between 14 and 22 ounces. Here all the hammers we reviewed comes with either steelhead or titanium head. Steelheads are preferable for mid-range to high range user. If you can afford, titanium can be your best option. Handle materials also deserve your consideration. It affects many aspects of nailing jobs including the durability. Fiberglass made handles are lightweight and easy to use. But, this also drives up the price making it one of the costliest options. A wooden handle is good for shock absorption and less vibration. It also reduces the fatigue of muscles. The drawbacks of this handle are sometimes it goes disconnected from the head. Though a steel handle adds some weight to the hammer, most of the mid-range manufacturers choose it for their products. These handles are super durable. Hammers head are available in two face texture, a flat one and milled one. Flat texture left no marks on the surface but support less during the strike. Milled texture leaves marks on soft surfaces, but provides support nails to go into the object correctly. Whatever you choose a weighty head with steel handle, or lightweight head and wooden handle, the fact is the combination must be balanced. Without having a balanced arrangement, you will lose your precision also drop more energy while operating the hammer. You may choose fiberglass, or wood, or steel, even a titanium handle that will not affect your performance much. But, the handle must be perfectly joint with the head. At this issue, one material or jointless hammers are best of the town. Operating hammer requires lots of energy and have to maintain good control over it. Any subconscious hit can damage the objects. 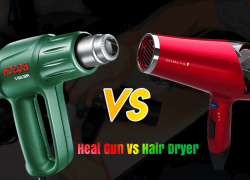 Almost all the manufacturers are aware of ensuring a comfortable room to grab the hammer. Rubber made grips work well for supporting the user. Grips with finger grooves are more comfortable than a flat one. At some stage of your operation, you may have to carry on your tasks with a single hand. For single hand use, lightweight designs are good. Hammers featured with magnetic nose also help in single hand use. All over our review and guide, we just mentioned that hammer for nailing but it also works for pulling nails or some other substances from working surface. Mostly the one end of the head dedicated for striking, and other end reserved for pulling and removing. 1. Check the hammer prior to any use. Make sure that it’s not cracked, loose or split in any way. If you find something wrong fix it before using it again. 2. Wear a protection glass to protect your eyes from flying debris. 3. Keep yourself isolated from gathering or request others to maintain a safe distance from your working zone. 4. Though nowadays hammers are free from rust, you should keep them organized in cool and dry condition. 5. Never pull out any nails or material without being sure that the claw of the hammer is in its right position. This section is our effort to gather some questions those have been asked so repeatedly. Here some questions are universal those are true for any kind of hammer. And, some are valid for only that particular model. 1. What’s The Difference Between The Smooth Face And Milled Face? Ans. They have differences in terms of pattern and purpose of use. Milled face hammers have a waffle pattern cut into the striking point. This provides extra grip at the moment of impact and cuts down on the hammerhead glancing off a nail. One drawback of a milled face is that; it will leave the waffle pattern mark on anything you hit. 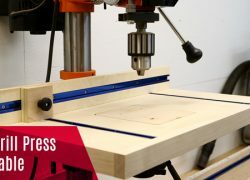 So it's best to use a milled face hammer for framing and other tasks that do not require a smooth finish. On the other side, smooth face hammers are plain. These hammers are chosen by the users who have to work without any stain or mark on the objects. 2. What Is The Best Way To Loosen The Stuck Bolt That Holds The Removable Face On? Ans. Spray with blaster or WD40, a blaster would be good. After spraying, let it sit for 15 minutes, then put pressure on the Allen key to remove it. You can also try to heat the lock up. 3. Does Stanley 51-167 Have The Waffle Head On It? Ans. Yes, it has the waffle face for framing. 4. Does The Replacement Head Of Stiletto TB15MC Loosen In Time? Ans. Maybe, but no worries, you can tighten it again using the Allen wrench sent with the device. 5. Does Stiletto TB15MS Hammer Have The Grooves For Fingers? Ans. Yes, it does have grooves for your fingers. Grooves are printed on a comfortable grip so that you can grab the hammer with power yet comfortably. 6. Can Irwin 1954890 Be Used To Drive 10 Penny (Or 2 Nickels Or A Dime) Nail Into Mint Green Jello? Ans. Yes, it will work. The hammer also works with banana pudding and some other materials that maintain this type of consistency. 7. How Is Stanley 51-167 Connected Between Handle And Steel? Ans. The connection between head and handle should be tough enough because this point broke down much. But here Stanley 51-167 has a top to the bottom steel structure, and there is no joint at all. So there is no chance of disconnection. 8. Is The Black Branding Of Dalluge DDT16P Permanent Or Is It A Plastic Wrap That Comes Off? Ans. It is a plastic advertising shrink wrap. You have to remove it before start using. There are actually so many best framing hammers in the market, but we only picked 10? The only reason behind this selection was they are just different from others in terms of performance and durability. And of course, they have been getting sales and good reviews on Amazon since they were available on the market. So, I can assure you that if you analyze your requirements and choose 1 from our top 10 picks, you will not be disappointed in any way.